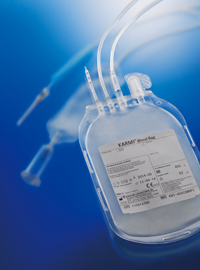 Blood Banking and Transfusion｜Business and Products｜KAWASUMI LABORATORIES, INC. 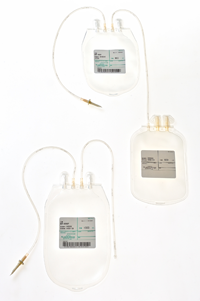 Since introducing Japan's first plastic blood collection and transfusion sets in 1954, Kawasumi has been expanding its business activities globally in the blood banking and transfusion industry mainly with blood bags. Blood transfusion related products are essential in medical care, and the demand is expected to grow due as society continues to age, global population increases and the economy of developing countries continue to grow. In addition, there is growing needs for safety enhancement in blood related products, such as the prevention of adverse effects on blood transfusion. 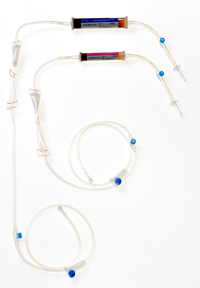 Kawasumi will continue to support the demand of safe blood based on the technology and quality built through the development and production of blood-related medical devices. The small volume: flow rate of less than 30mL/min. The large volume: flow rate of less than 50mL/min. Click here to visit Dr. Juji's essay on transfusion medicine.